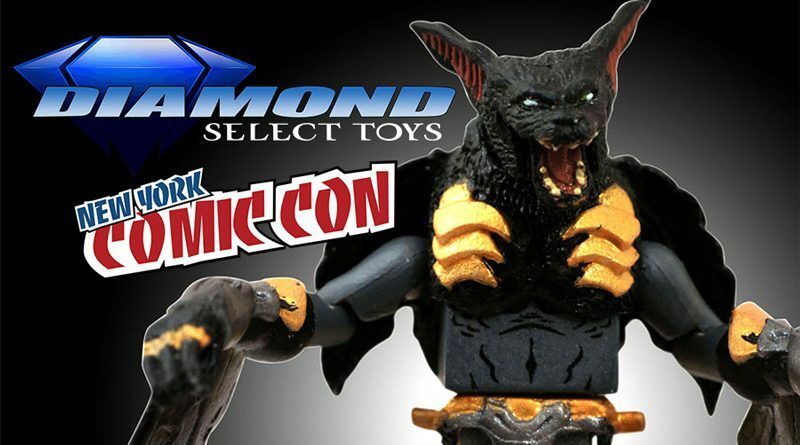 New York Comic-Con is approaching, and Diamond Select Toys is prepping a massive presence at the show, with cases of advance prototypes, shelves of products for sale, a panel, two signings and an exclusive! Read on for details, and come see us at booth 1644! 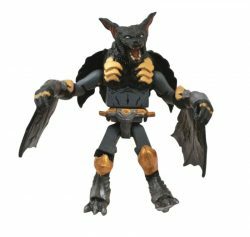 Starting Thursday, Oct. 4, DST will offer an exclusive Minimate of the Battle Beast Desmodius, a fearsome black bat armed with a sword and glaive. Measuring approximately 2 inches tall, and featuring 14 points of articulation, it is fully interchangeable with all Minimates mini-figures. It will come packaged in a clear polybag with hangtag, and sell for $6. DST’s panel and signings will happen on Saturday, Oct. 6, and feature designers Nelson X. Asencio (Marvel Gallery, Milestones, Premier) and Caesar (Marvel Gallery, DC Gallery), and sculptors Eli Livingston (Alien, Predator, Cthulhu) and Jean St. Jean (Classic Batman, Marvel Select, Premier). DST President Chuck Terceira will also be on hand for the panel from 12:00-1:00 in Room 1C03. Following the panel, the designer signing will run from 1:30 to 2:30, and the sculptor signing will happen from 2:30 to 3:30, both at booth 1644. There will be free postcards on hand for them to sign, but fans are welcome to bring their own items, as well as purchase items in the DST store.